To conquer Texas — the largest state in the Lower 48 and one of its most colorful — a Texas road trip vacation needs forethought, planning and stamina. America’s immense highway system, built up here by well-connected politicians from the Lone Star state, makes Texas a natural destination for a family road trip. There is a wide variety of things to do and see in every corner of the state and plentiful hotels and motels around every bend. Road trippers can expect to find natural wonders, exciting attractions and educational experiences among the latest museums, family-friendly resorts and outdoor activities. Planning is key to making it fun. Fortunately, the large Lone Star state considers tourism one of its key industries. 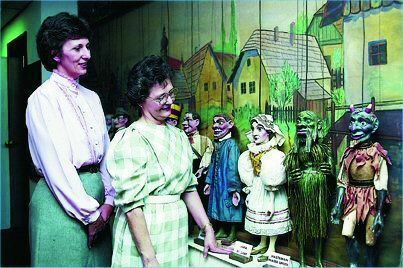 Their local tourist information centers and online resources are among the country’s finest. For 2010, several communities have added to or upgraded their offerings for visitors with children, making them a natural focal point of a Texas road trip itinerary. The state’s broad highways will expose you (safely, of course) to all the elements, including rain, hail and the rare snowstorm. Don’t worry if summer is the best time for your road trip. About the notoriously changeable climate, the locals say, “If you don’t like the weather, just wait 5 minutes.” And with 80 m.p.h. speed zones, driving can be fun. So we say, pick out your interests, confer with the kids, grab a map, and begin charting your route. Here are some destinations you might consider, organized by the main attractions in the area. Boasting hundreds of lakes, Texas is ideal for swimming, boating and fishing. New paddling trails such as the Lady Bird Lake Paddling Trail in Austin, the Buffalo Bayou Paddling Trail in Houston, and the Limestone Bluffs Paddling Trail near Waco – join 15 existing state trails. Families can float Texas’ many rivers, including the Comal, Frio and Guadalupe, or enjoy lazy rivers at numerous resorts. The JW Marriott San Antonio Hill Country Resort & Spa (210/403-3434) at 23808 Resort Parkway, San Antonio TX 78261 — the world’s largest JW Marriott — opened in January 2010. This mega-resort features more than 1,000 guest rooms, a lagoon-like pool with a lazy river, spa with chandeliers, and luxurious amenities. Look for mid-summer weekend values here. For the complete opposite end of the scale in services, check into 10 family-friendly cabins located less than 80 miles southwest of Fort Worth. The Hideaway Ranch & Retreat (254/823-6606, 866/609-HIDE) at 1022 Private Road 1250 in Bluff Dale, TX 76433 has been voted the “most family-friendly B&B” by the Best of BedandBreakfast.com Awards. At this unusual inn on 155 acres, families will enjoy rustic cabins complete with private hot tubs, kitchens, grills and picnic tables — some also have bunk beds sofabeds or futons in addition to king beds for family guests. Some of the cabins accept pets and all are set up for those who want to cook three squares per day, or barbecue when the urge arises. On-site activities include horseback riding, hiking, fishing, animal watching, star gazing, fossil hunting and swimming. Rates are under $$ per night and even less during the hot summer season; some cabins accommodate up to six at no additional charge. Texas is home to SeaWorld San Antonio, plus three Six Flags parks: Six Flags Over Texas and Six Flags Hurricane Harbor in Arlington, and Six Flags Fiesta Texas in San Antonio among many other great theme parks. We’re sure you can fit in a stop at one of them. Amarillo’s Wonderland Amusement Park (800/383-4712 or 806/383-3344) at 2601 Dumas Drive, Amarillo TX 79107 is one of Texas’ largest privately owned themeparks. 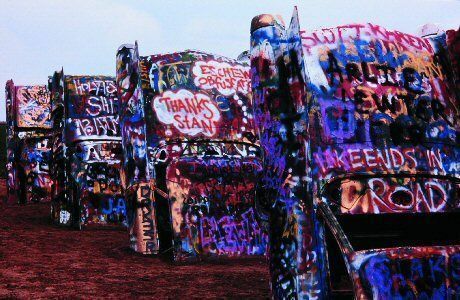 Make Amarillo your base and plan a stop at Cadillac Ranch, the famous art project made up of Cadillac cars pointed nose down in the desert. When the heat gets to be too much, you can take the kids to SplashAmarillo for waterplay fun. 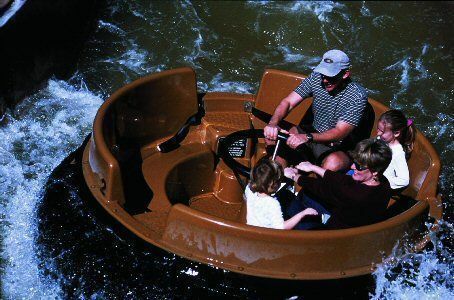 El Paso’s Western Playland Amusement Park — nearly 50 years old — features the 37-acre Wet n’ Wild Water World. Schlitterbahn Waterpark Resorts, which take the meaning of waterpark to a new level, are located in New Braunfels, Galveston and South Padre Island. From the Dallas, Fort Worth, San Antonio and Houston Zoos, to Natural Bridge Wildlife Ranch in New Braunfels and Fossil Rim Wildlife Center in Glen Rose, visitors can see animals from around the globe. It can get very hot in Texas during the summer so be sure your little ones have plenty of sunscreen and a hat when they venture out to the zoo. Your family, and the animals, will be happier if you visit them in early morning or late afternoon. Underwater creatures abound at The Dallas World Aquarium, Houston’s Downtown Aquarium and the Texas State Aquarium in Corpus Christi. Museums are flourishing around the state. The Waco Mammoth Site is a recently opened 100-acre state park showcasing prehistoric mammoth fossils that were only discovered in 1978. 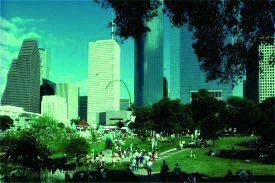 In November 2009, the remodeled Fort Worth Museum of Science and History debuted a planetarium, dinosaurs, 3-D films and more, adding more to this city’s rich cowboy culture. In Austin, visit the Bob Bullock Texas State History Museum and Austin Children’s Museum, and in Houston, the Museum of Natural Science, and NASA/Johnson Space Center. 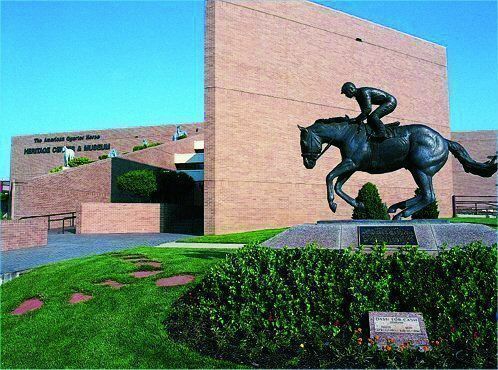 Abilene is another of this big state’s surprises; it has lots of family activities. The Frontier Texas! mixes the Old West with state-of-the-art technology, transporting visitors to a prairie thunderstorm, a buffalo stampede, and more. Texans claim to have invented the concept of miniature parks along travelways, but a lot of tall tales originate in that state. It is true that some of the most beautiful highways we’ve ever seen — routes lined with sloping banks of wildflowers, vallies of bluebells and rows of crepe myrtle — lead from one end of the state to the other. In fact, along the state highways there are more than a thousand rest areas, picnic areas and scenic turn¬outs. These scenic and useful rest stops are landscaped and equipped with shaded arbors, tables, benches and cooking grills. There are 11 Travel Information Centers along the main highways leading into the state staffed by travel counselors who will provide free literature, information, and suggestions to make every Texas trip more pleasant. They will chart a route for you, point out short cuts or scenic byways, and share brochures for some of the top family attractions you’ll pass. These centers are open 8am-5pm daily and till 6pm between Memorial Day weekend and Labor Day, the tourism high season. The main center is the Austin Capitol Visitor Center in downtown Austin. All the Texas Travel Information Centers, listed below, close on major holidays. Travelers can also receive road condition information by visiting the Texas DOT site or by calling 800/452-9292 (TDD for the deaf 800/687-5288) for 24-hour automated road condition information. During spring and fall, there are reports on locations of scenic spring wildflowers and fall foliage. During the day from 8am-6pm central time, this same phone number is staffed by live travel counselors ready to assist you. For more information about what’s family-friendly and fun to do in Texas, visit Texas Tourism or request their free Travel Guide and maps — and let the kids plan out this road trip for you — by calling 800-8888-TEX. Thanks for your suggestion; it's great to hear about the backroads where we hope to find much better food than on those interstates!